Week 10 Evictions: After spending 10 weeks inside the Big Brother Naija house, Bally has been evicted from Biggie's house. With just one week to end the game, The race to the Big Brother Naija 2017 grand finale is on for the remaining five housemates and at least we shall see one of them walking away with 25 Million Naira plus a brand new KIA Sorento. 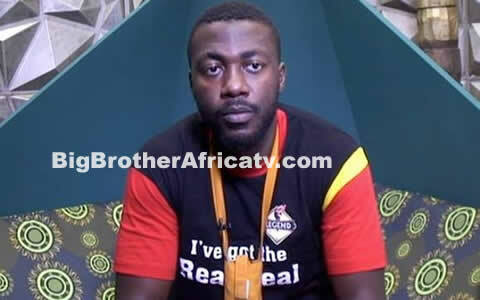 It was smiles, hugs and good vibes when Big Brother Naija show bid farewell to 28-year-old Bally Balat known as “ Bally” from Abuja-Nigeria, who did not receive enough votes this week to keep him in Biggie’s House till the grande finale. After tonight, Big Brother Naija contestants can be counted on one hand and Bisola, Debie-Rise, Efe, Marvis and Bally are this season’s official Top Five. And it remains to be seen, who will be the winner of 25 million naira plus a brand new KIA Sorento come next week, Sunday, 9 APirl, 2017? Leave your preditions in the comment box below.